If you are someone who has been around for some time, you might already know how important it is to create a video marketing strategy to build a relationship with your audience. Over the years at VidSaga, we have worked with a lot of brands and have helped them build their short-form video marketing strategy. We know how this space has shifted with changes in social media like Facebook and Instagram bringing short-form video features directly on their platform. Brands have started to experiment with their mobile video marketing these days. A lot of brands have started shifting their strategy to include videos as well as blog posts. They use animated videos, explainer videos, corporate videos and other types of engaging videos to tell their brand story to the audience. 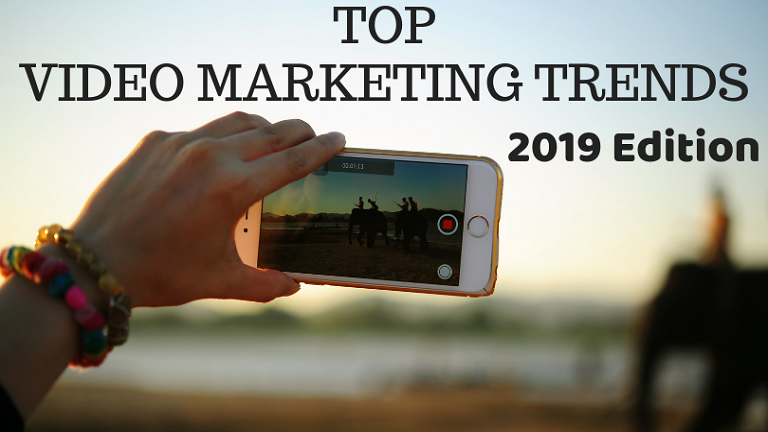 I have written these 2 articles which I think might be relevant to you if you are wondering how to tell your brand story with corporate video marketing and explainer videos in the year 2019. 1) Learn how to select the best explainer video company to represent your brand. 2) 9 things to keep in mind while choosing a corporate video production service company. We all know the role Facebook plays in our lives and the power it commands over its users. Facebook is one of the most popular platforms out there, with billions of people connected through its platform. Currently, Facebook is the #1 social media platform. With Instagram and WhatsApp in its pocket, it also has a big community of engaged users. Last year Facebook introduced video-based advertisements on their platform. Ever since they have launched this feature, the ad engagement and publishers’ engagement both have increased. And on top of this, even the average video consumption rate on Facebook has been growing at a breakneck speed each month. This growth rate is so high that Facebook is slowly but steadily starting to become the second most preferred choice for people for sharing and watching videos, first being YouTube. Recently, Facebook launched Facebook Watch feature using which users and creators can work on long-form videos just like YouTube. With this feature launch, Facebook has launched an open attack on YouTube, and chances are that it might even succeed in taking market share away from YouTube. 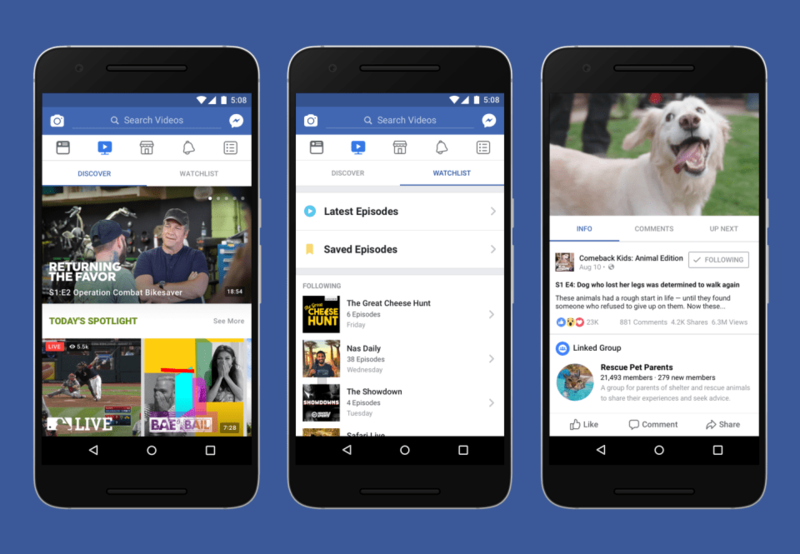 Facebook Watch is Facebook’s attempt to get long-form feature show publishers to come and get their work displayed on Facebook. Using this feature, they can recommend videos to users by using their interests and based on what’s trending at that moment. Facebook already knows and can track the likes and desires of people. Now, they can incorporate all of that in the Facebook watch feature. This gives them an edge over YouTube. For example, if I am watching a lot of cat videos on my timeline, then the Facebook watch will suggest that I watch the long-form cat and cat-related videos. This video marketing trend takes your personal choices into account and in turn caters to you on a very personal level. This way, they can slowly enter the long-form content market that has been dominated by YouTube for a while now. Facebook videos are getting 8 billion views on a daily basis. If they keep growing at this pace, it is only a matter of time before they overtake YouTube in terms of viewership and publishers. TIP: If you are a brand which is thinking about publishing long-form videos to get more coverage for your content, then you should also consider the possibilities that Facebook offers. Facebook has its own engaged audience that will come and see long-form videos if you choose to appeal to their demographic. So if you want to dominate your niche, now is the right time to do it. The way Quora has grown over the last few years has been nothing short of crazy. Quora has stolen the ‘how to’ and ‘peer to peer information’ market shares entirely from Yahoo and answers.com, and now they are going after one of YouTube’s specific categories. So what they have done is, they have decided to build something resembling the ‘how to’ category of YouTube within Quora itself. They plan to upload fresh videos (Not YouTube embeds) on their platform, and they want to dominate this category on the internet. The good thing is that the community of Quora itself is very active, so they don’t need to push this agenda with too much effort. They only need to focus on building user engagement with respect to videos, which is already very high on Quora. They have recently released a video answers category in their product updates section. I personally think that ‘How-To’ is a very big category on YouTube. If they lose this, they’ll lose a big market share in the video space. This marketing trend can break an empire. For example, you can see the answers in the 2 categories given below. These answers are real examples of video embedding on Quora. You can click here to watch the answer. You can click here to watch this answer. Tip: I’d suggest that you start populating answers in your niche right now. This way, you’ll be able to dominate your niche on Quora while the competition is super low. If you focus on growing your traffic and coverage via Quora, you can really master the art of getting high-quality traffic for your company. When Pinterest introduced their new format, a lot of people jumped on it and started driving a lot of traffic to their websites using Pinterest videos and video-based ads. Pinterest recently launched their Auto-play feature for videos, and it has been positively received by its publishers and advertisers. If you catalog the Pinterest audience, close to 80% of the audience on Pinterest is populated by women, and they have about 100 million people actively using their platform and fully engaged. Starting from the time that they have introduced video pins on their platform, they have seen a sharp increase in the posting and sharing of video-based content on their platform. And that’s a BIG vote of approval to their feature update, this predicts that people are consuming videos and will continue to do so in the future as well. With their autoplay feature benefitting the advertisers, chances are that they will draw in more advertisers to their platform. That is good for business. So let’s say that you are someone who wants to target your ads towards women and thus sell your products to women, then running video pins and video ads should be a great ROI for you. Another great feature of doing this would be that your videos will show up in the search bars. Right now the cost of advertising on their platform is very low, and that’s why a lot of brands focused on women are winning the game on Pinterest. Tip: Start testing with video pin ads and see what kind of ROI you can get. If you have a brand that can be displayed to the audience on Pinterest then it definitely makes sense to run your ads and videos on Pinterest. I think live videos will continue to get more popular among people on Facebook and YouTube. Chances are, other platforms might also introduce them to their users. Facebook is already doing really well with live videos, and that is important. In fact, lately, a lot of webinar companies have been facing tough times because a large number of people have shifted their focus from their software to YouTube and Facebook Live videos. The chances of people attending live videos and webinars via these portals are much higher than the usual webinar or lives industry attendance rate. The number of people engaging through LIVE videos has grown exponentially last year. Recent studies have even shown that people are spending more time watching live videos than the time that they spend on recorded videos. The good thing about live videos is how immediate everything is. You are able to instantly connect with your audience and give them connectivity, feedback, and that oh-so-important instant dopamine rush through Live formats. Tip: You can connect with your audience through live Q & A, Audience engagement, and other webinar formats, and thus build engagement with your audience. Live videos also have 10 times more engagement than normal videos. I think the 360-degree video category is an exciting category. The technology for 360-degree videos is really expensive and with every year the cost of tech and equipment is coming down. Soon a time will come where it will all be accessible and in the hands of everyone. When that happens, you will notice that people will start recording more videos, photos, and other types of visual content and it will be in the hands of everyone. Be it the viewer or the creator. Facebook and YouTube have been the leaders of this category and have a lot of content already being shared on their platform. I have a feeling that Facebook will be doubling down with their faith (and thus investment) in 360-degree videos, and so more and more people will consume these type of videos, because the engagement on these videos is really high. Wherever they see engagement, they will have more faith in it. If they have faith, they’ll invest. But all of that will have to go hand in hand with the price of technology and equipment coming down at the same pace. Virtual reality & augmented reality videos are getting very popular these days. In fact, a lot of startups and developers have started to create some exciting stuff in this category. With big tech companies like Facebook and Apple investing heavily in these technologies, we can surely see these categories growing this year to attract a larger number of people. You’ll also see a lot of innovation in the space of VR videos. Facebook has a great product called oculus which has been selling like hot cakes. They have also opened up the product access to a lot of developers which means that in the coming months you will see a lot of action in this space and industry as a whole. Even Apple has introduced their AR kit for developers. AR stands for Augmented Reality which is a lot like VR, but a step advanced. The innovation due to this step has been visible in their push of iPhone 8, where their intention of moving and growing towards a certain future – which will focus a lot on AR work and AR content on iPhones – was clear. As of now, they have already opened up the AR kit for iPhone and iPad. To have a glimpse at how AR works, you can watch this video and understand it yourself. During the recent earnings call of Facebook, their COO gave away some interesting details. She said that the Facebook audience loves watching short-form videos and that they don’t want to invest more than 30 seconds in one video. What that means, is that people on Facebook are scrolling through their timeline and they want videos which are small and easily consumable. That right there is exactly the reason why Facebook has been pushing its advertisers to create short-form videos. Facebook & YouTube both are doing really well in short-form videos categories. The shorter the video, the better it performs with masses. There was this particular case where Tropicana, as a brand, experimented with 6-15-30 second videos. The findings clearly show 6-second videos outperforming the 15 and 30-second ones. After seeing this data you might be convinced that short-form, easily consumable videos are really the future of content consumption, and you will be right. I hope that you know what a mobile-first video is. If you don’t, that ok. Let me explain it. So let’s say that you play a video which you see on Facebook. What exactly happens when you play the video? You need to rotate the screen to watch it properly, right? It is indeed a bummer that you have to do that. There are new types of videos these days which can be seen with your phone in the vertical state only. So mobile first videos are the ones that you can watch without rotating the phone. This technology is not something new because Instagram and Snapchat have long been doing good work with it. The consumption of mobile-first videos has been increasing steadily by a big percentage for a while. For example, Snapchat has seen 9 times more increase in their engagement when their users are presented with Vertical ads. In fact, even on Instagram, the square-shaped videos are doing really well. Even buffer has compared square video results with horizontal ones, and their results were clearly in favor of the square videos. The year 2018 has been the year of stories; where Facebook, Instagram, and WhatsApp introduced stories. They borrowed the concept from Snapchat, and it worked really well on Instagram. So much so, that the Instagram stories have seen more engagement than the Snapchat stories. Slowly every user engagement company has started pushing stories on their feature list. And now, Medium has started experimenting with the stories feature on their platform. They believe that series (their version of stories), is an exciting feature to tell stories on their platform. It will be a great experience for both the reader and the writer according to them. They strongly feel that this is going to help them, and the creators, increase engagement with their audience. It is early enough in the process that a large number of people are not even aware that Medium is going to be introducing the stories feature on their platform. So, start early and take advantage of this feature, and all the initial traffic this update will bring. With the cost of cameras coming down, corporate video marketing is going to a cheap affair. I know so many people who are recording videos on their iPhones. These videos may not be very high-quality, but it’s important to get started. Even if you have to do it by recording low-res videos, do it even if you are low on the budget for production. Having an in-house team means that you can experiment with a lot of new and fresh ideas. This might not be possible for you to do by yourself because of budget constraints, but if you have starter level equipment, you can start getting content ready for your brand at little to no cost. A lot of the platforms like Facebook and Instagram have their video play setting default turned ON. This means that the sound settings (on the user’s end) are always on by default. This also means that you can engage and hook the customer within the early 3-6 seconds without putting in too much work. So technically, the platform is auto-playing the videos and trying to hook the users on your behalf. Now, if the content that plays is good, that will certainly help. I think, in the close future, all the platforms will have the video on auto-play and sound ON. So prepare your content accordingly. Try to hook the users in the first few seconds. With videos being consumed by the audience at a faster pace, there will also be a related decline in the production cost of videos. That’s what we are doing at VidSaga. We are helping with video marketing while cutting down the exorbitant price that people charge while creating professional videos. You can simply go here on our portal and get any type of video created at a very competitive price, so you can be happy with the quality and price both. Creating high-quality videos that succeed is tough. We know it because we create these videos on a daily basis. I think that even in the year 2018, HQ level explainer videos will make a huge difference in brand awareness and driving customers to your sales platforms at cheaper costs. The effectiveness of explainer videos is HUGE. They solve a great problem for the customers and are great for creating viral traffic as well (if they are shot nicely and the viewers love it). You can go here and request a free quote from one of our expert team members for getting an explainer video for your brand. It is a great way to drive organic google hits. It means translating all of your videos into text format. On the surface, it might look normal, but if you introduce the right keywords in the transcribing content then you might get a lot of SEO benefits. So if you have a YouTube video which you have created, you can transcribe it and you’ll notice that your video will start ranking on top despite the presence of big-name competitors. Video marketing trends for 2019 can be put into a few simple words: Creating engagement. If you can generate engagement, then you’d be able to get traffic and views. So if you follow these tips, even this year will be great for video marketing and growing traffic. Get your team together and prepare a great content marketing strategy.